The opening of the Tate Modern extension in London is testament to the continued, perhaps growing public interest in modern and contemporary art. 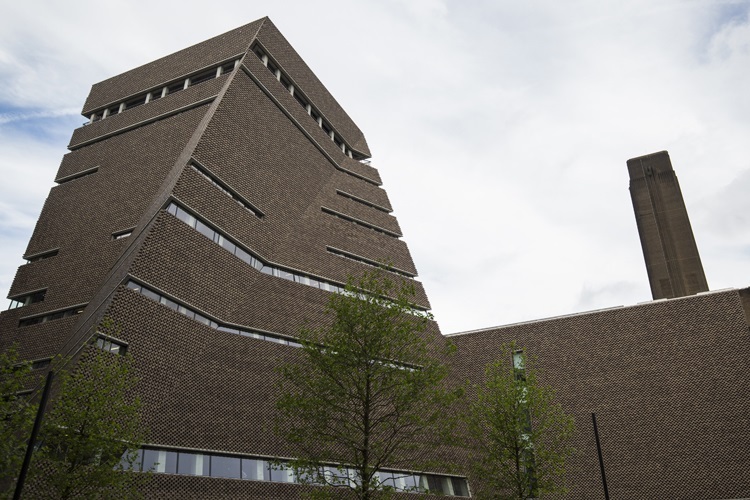 Sir Nicolas Serota, the director of Tate has even suggested that Tate Modern might stay open until midnight, providing people with an alternative to clubs and pubs. Contemporary art, much of it conceptual in nature was once derided, but many now accept that there is often meaning or a message behind the tangible object. The art world in the UK is thriving. It therefore seems surprising that many secondary school art departments are struggling to retain curriculum time and exam level student numbers are falling. 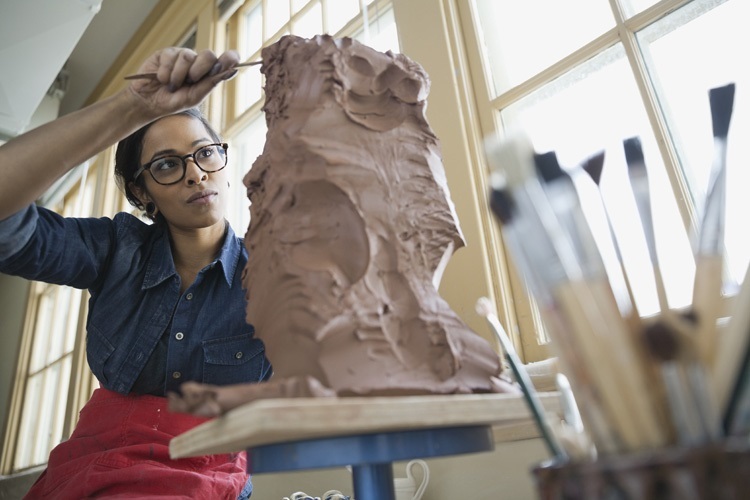 Many art education colleagues recount occasions when students have been actively dissuaded from pursuing GCSE and A-level art in favour of “more academic” subjects. After all, art is simply about making interesting, decorative pictures and objects. Well of course that’s not the case. Art education is far more wide reaching than that. The exam level Assessment Objectives reward the development of ideas, exploration and experimentation, analysis of art forms and skills, and responding to experiences and observations. In short, there is a lot of thinking going on. I am always very keen to emphasise the wide range of transferable skills that art students develop. Analysing and interpreting past artworks develops abilities useful in the evaluation of sources in history. Exploring a range of processes and materials cultivates problem solving skills of benefit in the sciences. In forming art project rationales, skills relevant to philosophy, English and once again history are nurtured. So the benefits to other areas of a student’s education can be evidenced, but it’s not really about that, it’s more to do with providing young people with the best possible chances for success in the future. Art encourages risk taking at a time when students are fearful of making mistakes and “failing”. The ability to take risks, accept and learn from “failures” and move on is widely recognised as being of benefit educationally, moving an individual from a fixed mind set to a growth mind set. Leading educators like Sir Ken Robinson have talked in depth about the need to prepare the next generation to be flexible, inquisitive and survive in a world of accelerating change. The popular adage that we are preparing students for jobs that don’t yet exist surely highlights the need to encourage problem solving and risk taking. This is the time to extend the scope of the curriculum, not reduce it and art most definitely has an important role to play in this. There is a dichotomy then between the ever increasing understanding and acceptance of art by the general public and the lack of understanding of what art education entails. At a previous school I was lucky enough to work with an extremely talented GCSE art student. He had grasped the processes and developed work with real meaning. He was really looking forward to continuing onto the A-level course, but when it came to options time he didn’t opt for art. When asked he said that he had been advised against it because he wanted to go to medical school. He said that he had been told that art would not help his chances and served no purpose. He was disappointed to be turning his back on the subject but accepted it. Like many disgruntled art teachers before me, I complained to the management about the advice and managed to get them to reconsider. The student was allowed to continue with his art. Throughout the two years of his course he concentrated on linking his artwork to medical conditions. He explored surface textures in relation to eczema and psoriasis. He produced installation pieces exploring serious conditions such as anorexia, and he developed an A* portfolio of work which had actually enhanced his medical knowledge. Apparently he was the first student the medical school had interviewed that had brought an art portfolio with him. He used it as a visual reference during the meeting, evidencing his knowledge and, of course, he was offered a place on the course. It is these little victories that are so important. The vast majority of art educators that I have met and worked with are hugely passionate about their subject. Perhaps this is because we have always had to fight our corner or perhaps it’s simply an inherent personality trait in creative people. Whatever the reason, we are the right people to keep reminding students, staff, governors and the government that art education is an important cog within the education machine. And art and creativity will survive because even though current educational policies, curriculum changes, capitation cuts and examination “rigour” are at times causing paralysing anxiety in staff and students, they cannot eradicate the innate desire that mankind has to create, explore and challenge. Mael Matthews has 20 years experience in art education. He is presently Head of Art at Clitheroe Royal Grammar School. Mael is also a Senior A-level Moderator for an examination board and a professional artist in his own right.